In her short story "1964," novelist and political commentator Ahdaf Soueif recounts the journey of Aisha, an Egyptian teen, during her relocation from Egypt to London. The first paragraph is the summary of events that develop the thesis of Ahdaf Soueif's 1964. In the body of the report, a student should include the key characters and concepts of at least three characters or personalities. Finally, end with a conclusion of at least 1/2 page with final thoughts about the book and an interesting ending. Paper Masters teaches college students how to write a well written research paper on Ahdaf Soueif's short story 1964. In her short story 1964, novelist and political commentator Ahdaf Soueif recounts the journey of Aisha, an Egyptian teen, during her relocation from Egypt to London. Soueif's 1964 is autobiographical and based upon Ahdaf Soueif's personal experience as a Cairo-born young woman who moved to England as a teenager with her parents. Through Aisha's eyes, the author leads the reader to contemplate the themes of isolation and discrimination. Aisha observes the foreign-looking adults and children, gradually grasping the oddity of her own appearance. As she develops this self-awareness, Aisha also overhears discriminatory statements made by her mother and others. These statements reinforce Aisha's own negative feelings. While Aisha's parents are intelligent and sensitive, their actions and words disappoint the young woman as she gains a growing awareness of the world's imperfections. Aisha's new schoolmates mock her Muslim faith and make references to camels, making Aisha's isolation and disappointment complete. 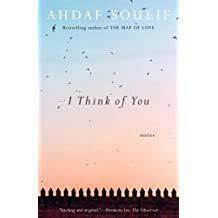 Published in a collection of short stories entitled I think of you, 1964 is the second installment in a series of three short stories about Aisha's life. The first story, "Knowing," narrates the five year-old Aisha's love of her native Egypt. The third story, "Returning," the adult Aisha returns to a Cairo apartment after the collapse of her marriage. Read together, these three short stories illustrate the loss of innocence that occurs during the transition from childhood to adulthood. Muslim World Research Papers - So have faith in God and His messengers, and do not say, "Three." Refrain, better it is for you. God is only One God”. How to Write a Research Paper on Ahdaf Soueif's "1964"
Paper Masters Custom Research Papers on Ahdaf Soueif's "1964"
Paper Masters writes custom research papers on Ahdaf Soueif's "1964" and discuss the novelist and political commentator Ahdaf Soueif, who recounts the journey of Aisha, an Egyptian teen, during her relocation from Egypt to London.